Entitled 'Smog', 12 x30cm. 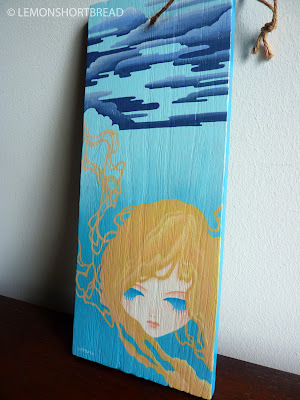 Acrylic on wooden signboard, string included. I combined everything that I liked into one artwork: nouveau, ukiyo-e and pop (bet you can already tell)! Can't remember what was the original idea for the colours since I changed it a few times, but it was not aqua blue & tan. There's a chinese saying 'when the boat is reaching the pier, it naturally goes straight'... glad it eventually worked out in the end. 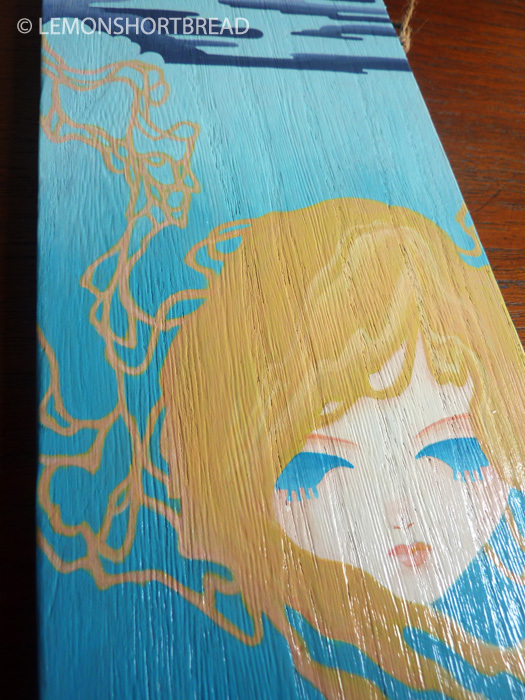 How it looks after gloss varnish. The sides and back are painted plain aqua blue. The wood grain is more visible from this photo than in the first scan.